We are currently looking for a Client Development Manager to join our team. · Ignite a sense of excitement with clients, encouraging adoption and expansion where possible. · Actively manage client relationships to increase adoption, ensure retention, and increase satisfaction. · Build relationships with customers at all levels from end users to Directors of Research, Marketing, and Senior Executives through engaging emails, phone calls, and in-person meetings. · Serve as the lead point of contact for 90% of customer account management matters. Handle both strategic account management and transactional sales activity including creating scopes of work. · Manage and track KPIs related to renewal and expansion commitments to ensure predictable and exceptional results. · Keep up to date with administrative responsibilities related to sales, client projects, and reporting. · Be responsible for the execution of inside sales, sales planning and account management. · Lead sales efforts with the support of senior management. · Prospect and engage with the local markets, if required. · Establish deeply rooted and long term relationships with both intermediaries and clients. · Liaise with sales support executives to achieve sales objectives. · Support the growth of the team and organization. · 3+ year’s proven Customer Success Management/ Account Management experience preferably with a SaaS or Technology company. · A great team player who can also thrive in self-managed and independent environments. · Prior experience managing a diverse client portfolio, with a proven track record of outstanding customer service. · Highly organized and results oriented. · An enthusiastic ‘can-do’ attitude that isn’t afraid to tackle challenges. · The ability to be adaptable with a high level of emotional intelligence. · Experience in the Market Research industry. · Experience in Business Development. AskingCanadians is committed to providing a fully accessible recruitment process. 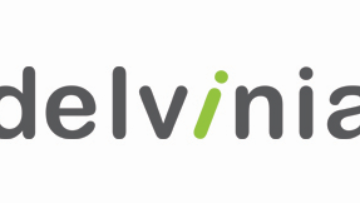 Should you require additional accommodations to participate in our process, please contact careers@delvinia.com with your request, or to obtain additional information.